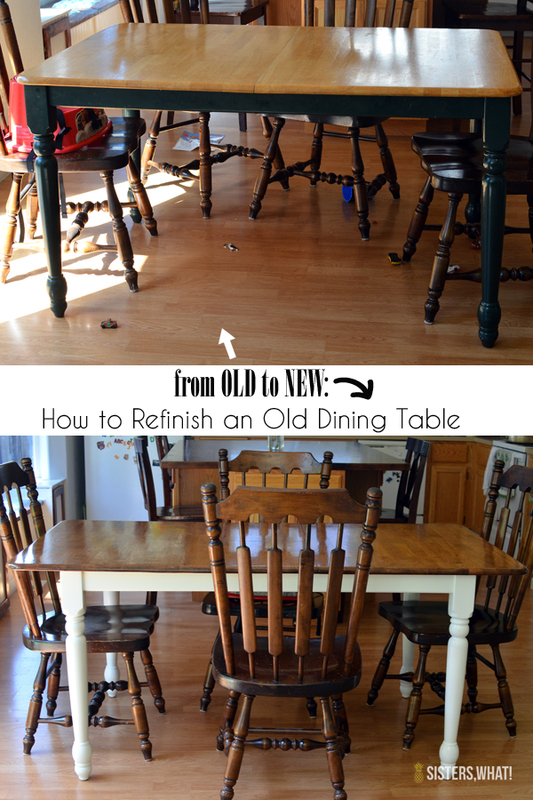 ' How to Refinish an Old Dining Table - Sisters, What! Today I'm over on Pretty Providence sharing how we refinished our old dining table into something new. It was tedious and took time, but totally worth it. Go to check out the details HERE.